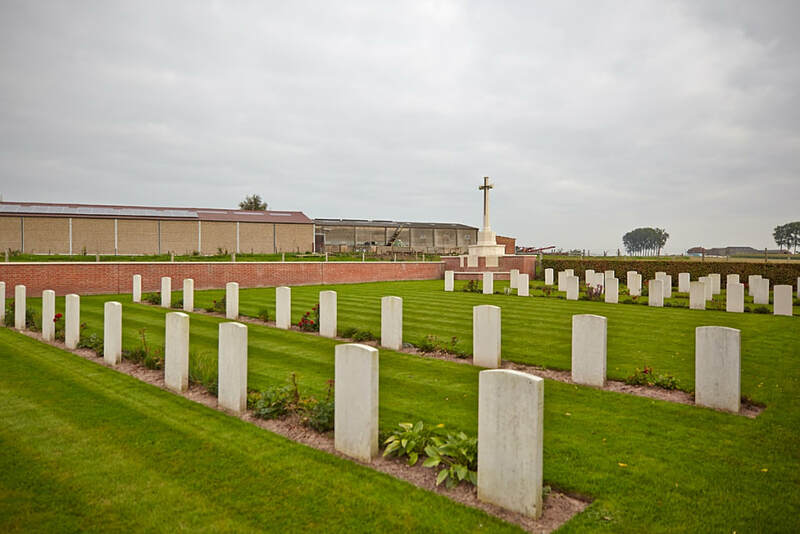 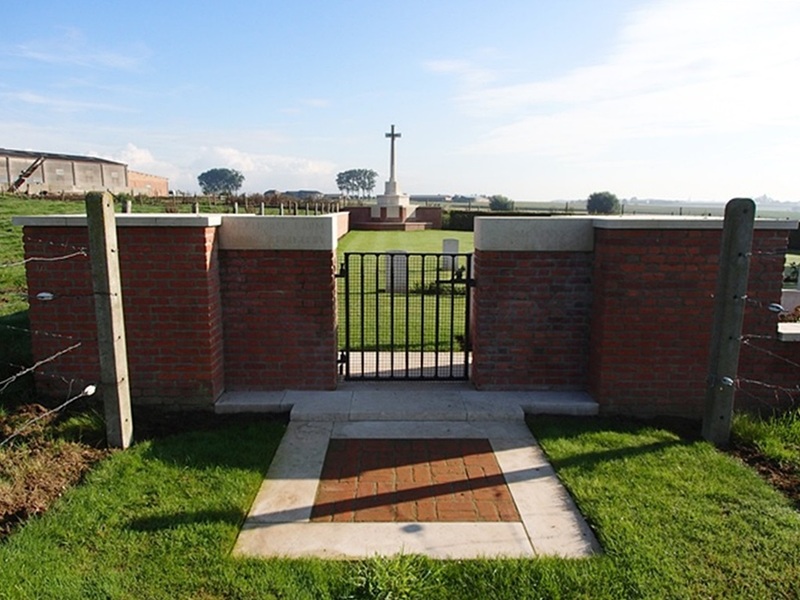 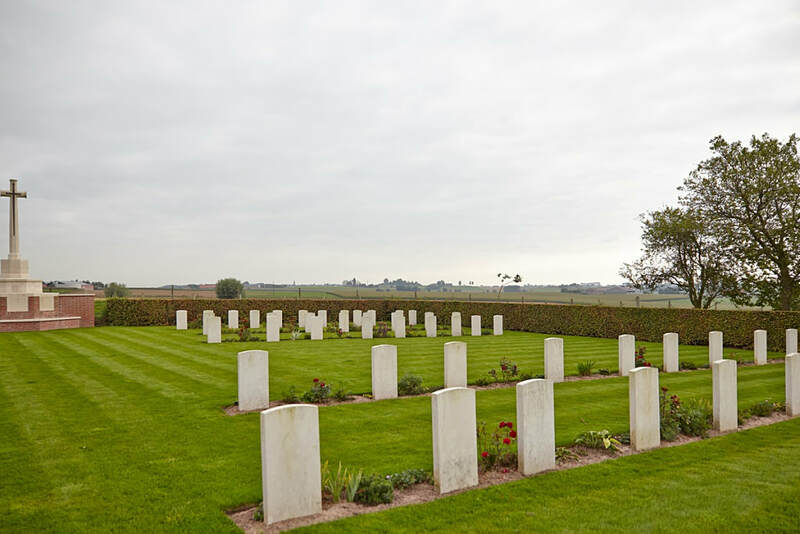 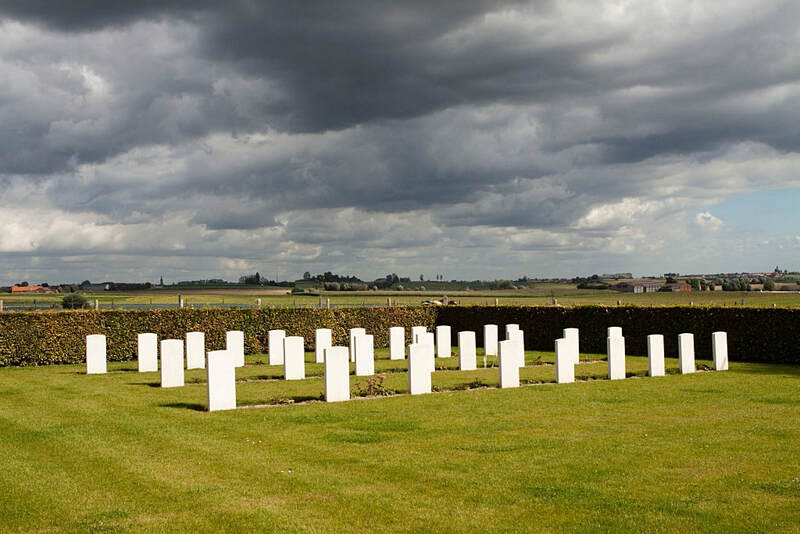 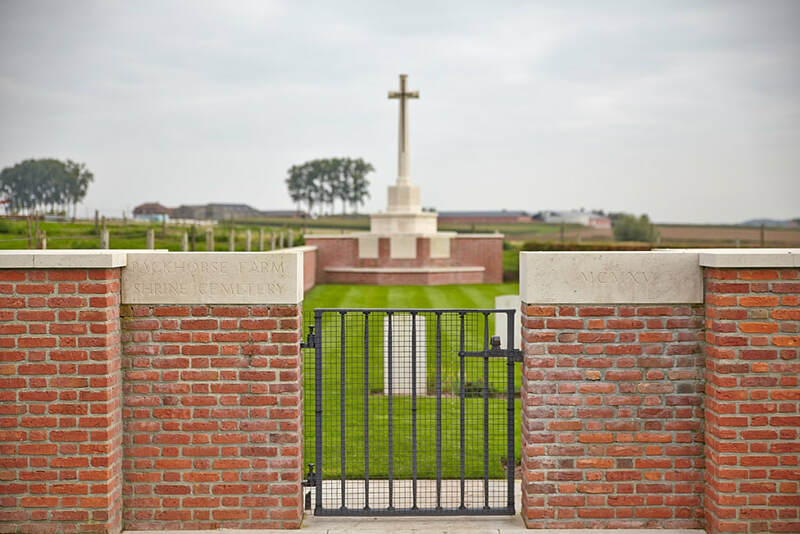 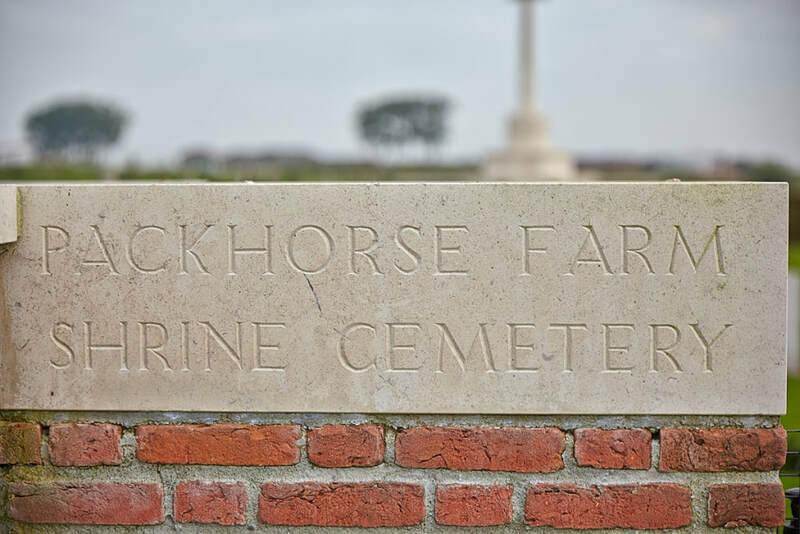 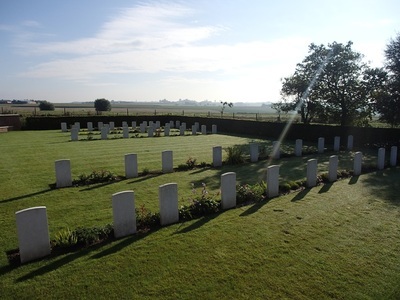 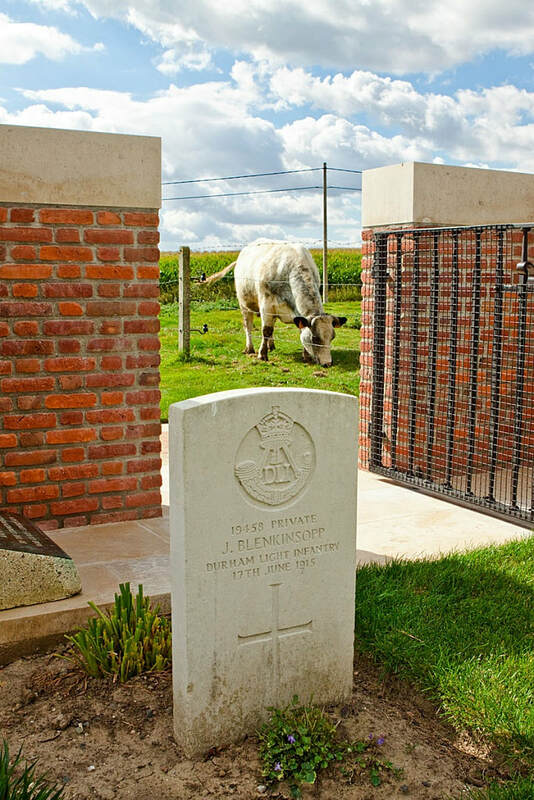 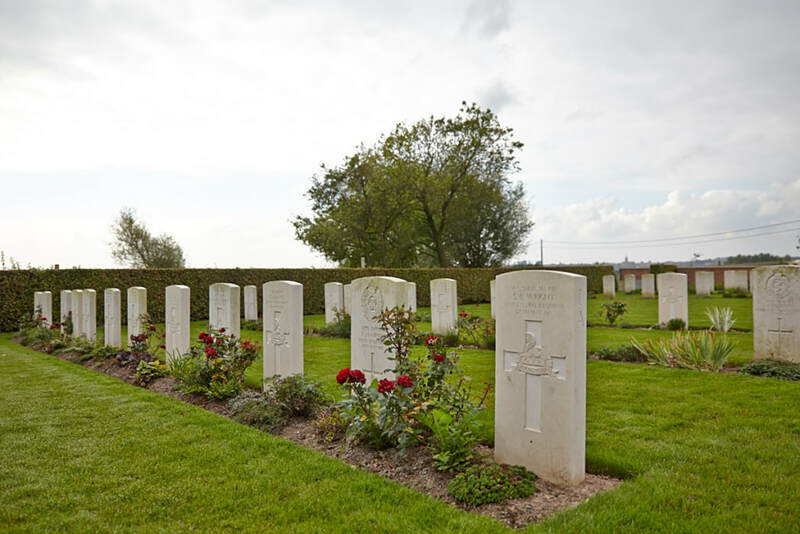 Packhorse Farm Shrine Cemetery is located 9.5 Km south west of Ieper town centre, on a road leading from the Kemmelseweg N 331, which connects Ieper to Kemmel and on to Nieuwkerke. From Ieper town centre the Kemmelseweg is reached via the Rijselsestraat, through the Lille Gate (Rijselpoort) and straight on towards Armentieres (N336). 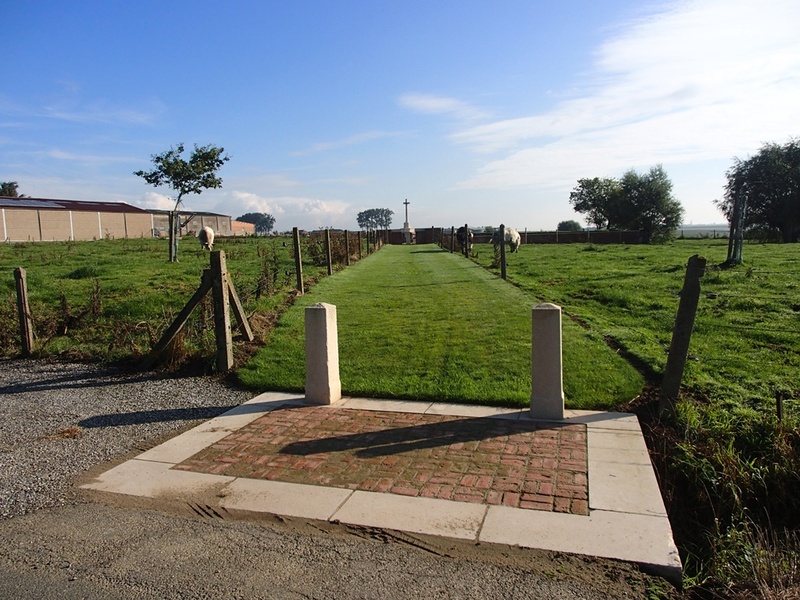 900 metres after the crossroads is the right hand turning onto the Kemmelseweg. (Made prominent by a railway level crossing). 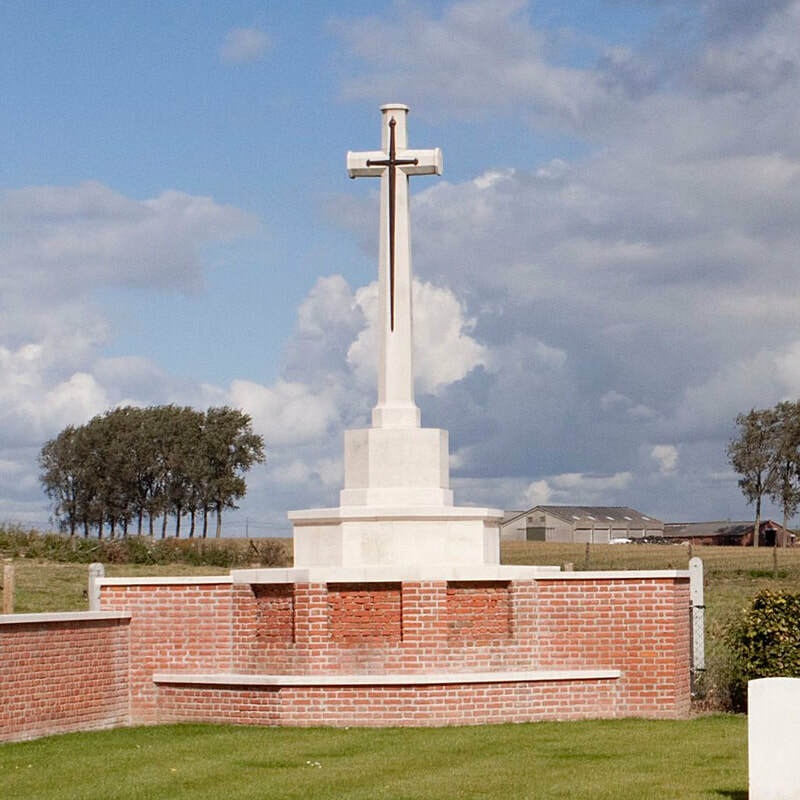 2 Km after passing the village of Kemmel lies the left hand turning onto the Hooghofstraat. 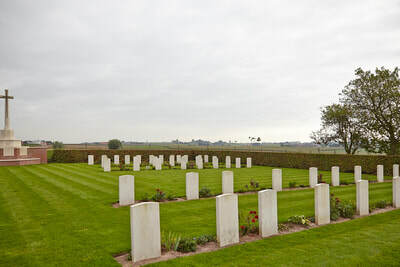 (Towards Wulvergem). 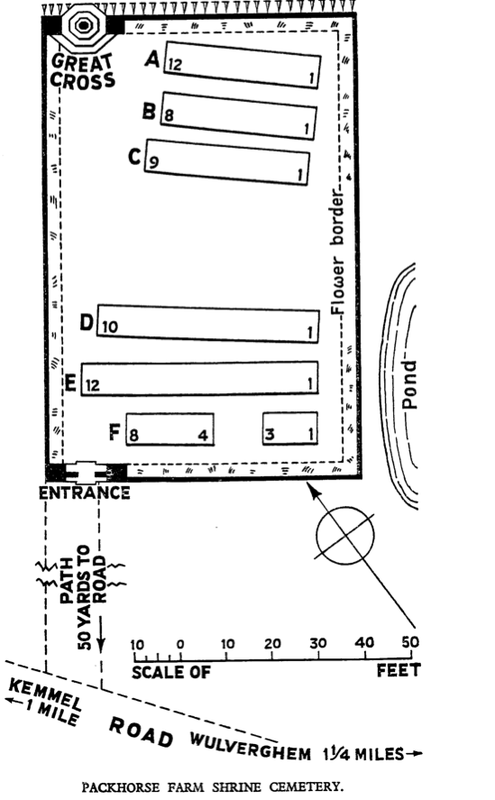 500 m along Hooghofstraat lies the left hand turning onto Lindestraat. 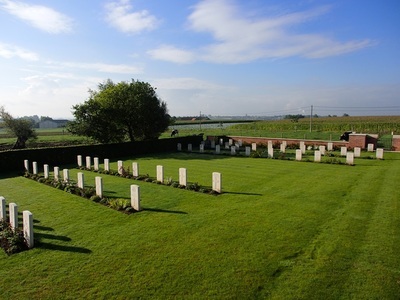 The cemetery itself lies 250 m along the Lindestraat on the right hand side of the road. 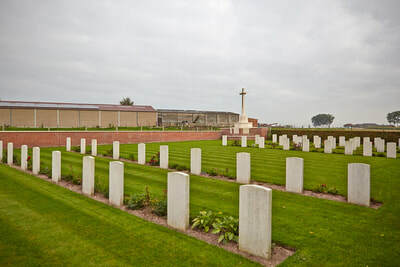 Wulverghem (now Wulvergem) was the scene of a German gas attack on the night of 29-30 April 1916 which was repulsed by the 3rd and 24th Division. 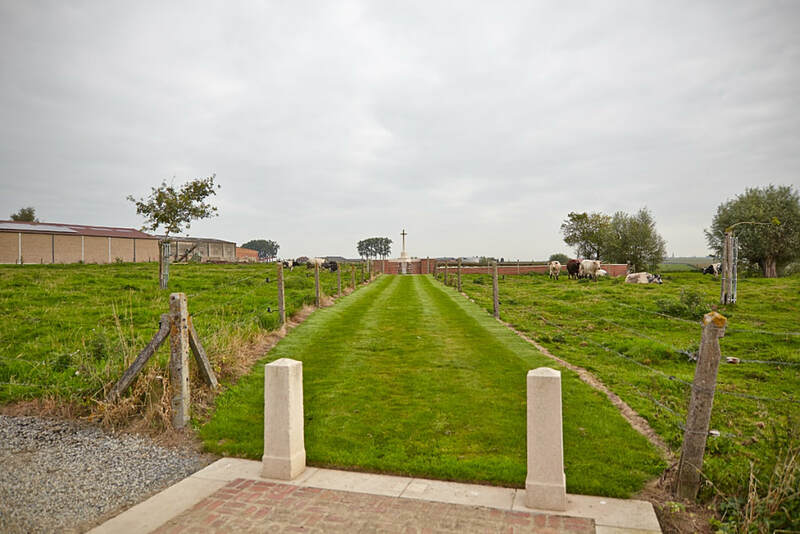 The village was captured by the Germans on 14 April 1918 and reoccupied by the 30th Division on the following 2 September. 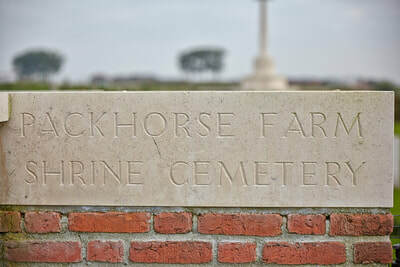 Packhorse Farm was the name given to a farm on the east side of the most direct road from Lindenhoek to Wulverghem, and a little south of it was a wayside shrine, later rebuilt nearer to the farm. 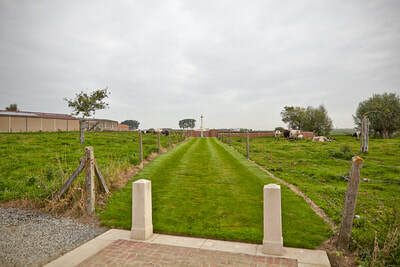 The cemetery was one of two made by the 46th (North Midland) Division who occupied this sector in the early summer of 1915. 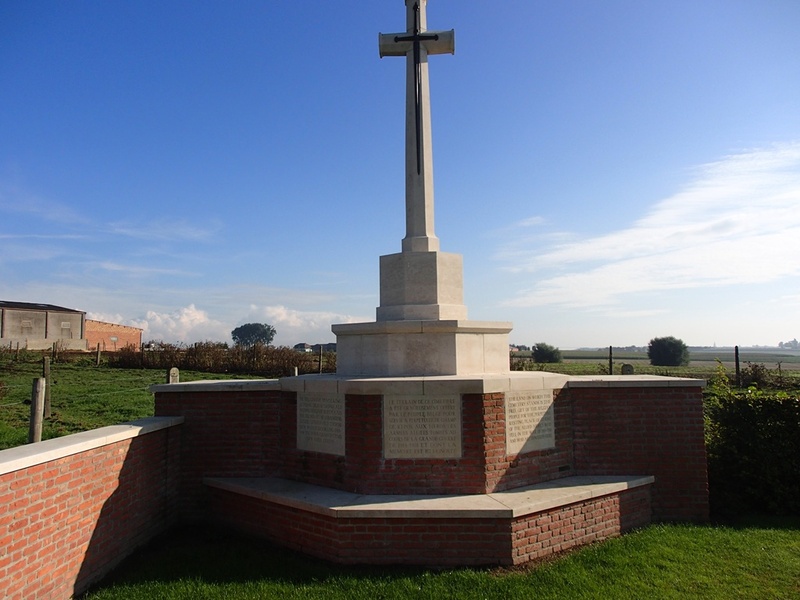 It was used only from April to June 1915. 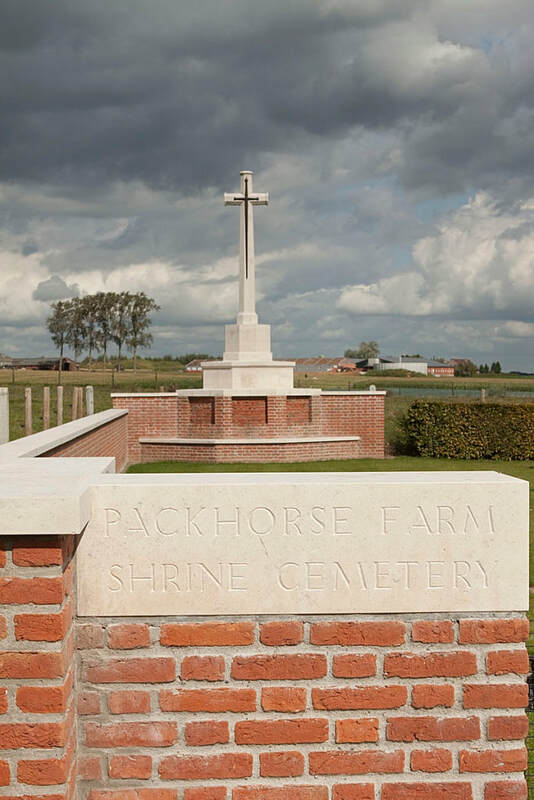 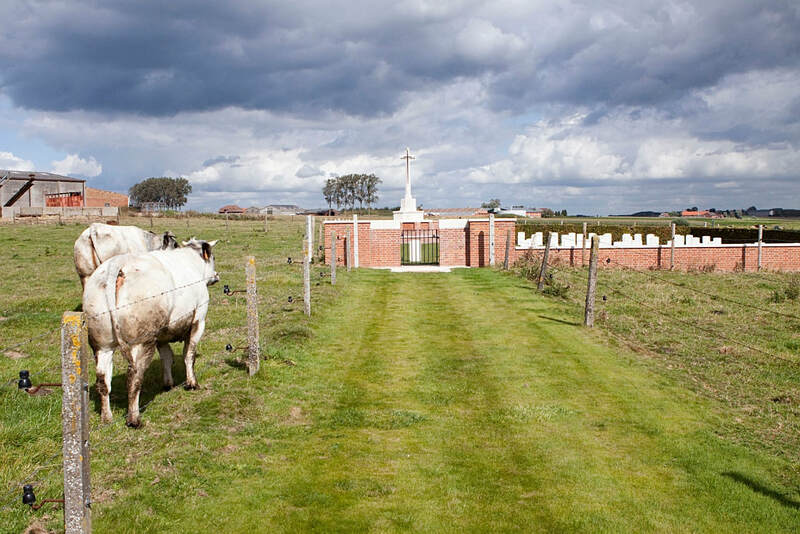 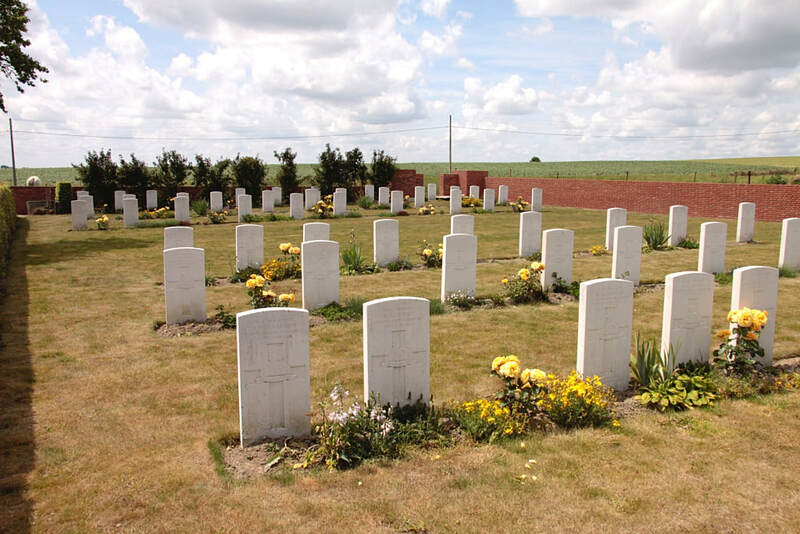 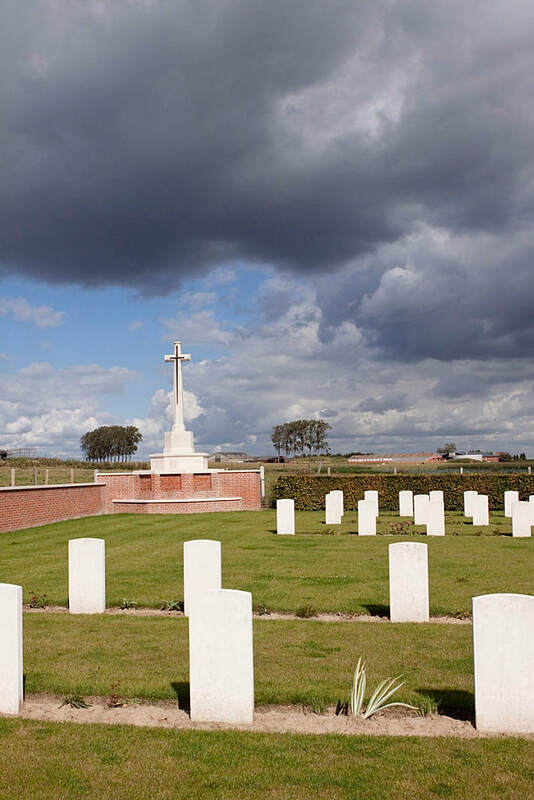 Packhorse Farm Shrine Cemetery contains 59 First World War burials. 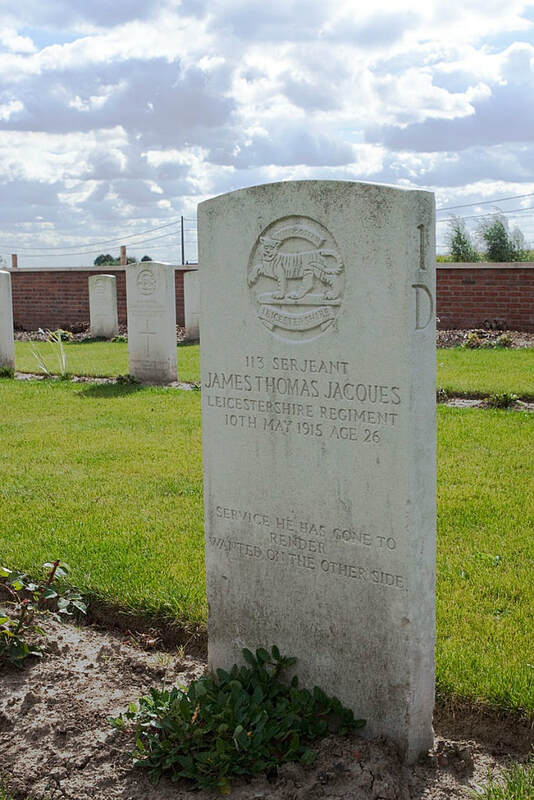 Husband of Jane Ball of John Street, Scunthorpe, Lincs. 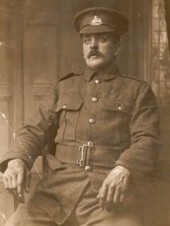 Son of John Ball.